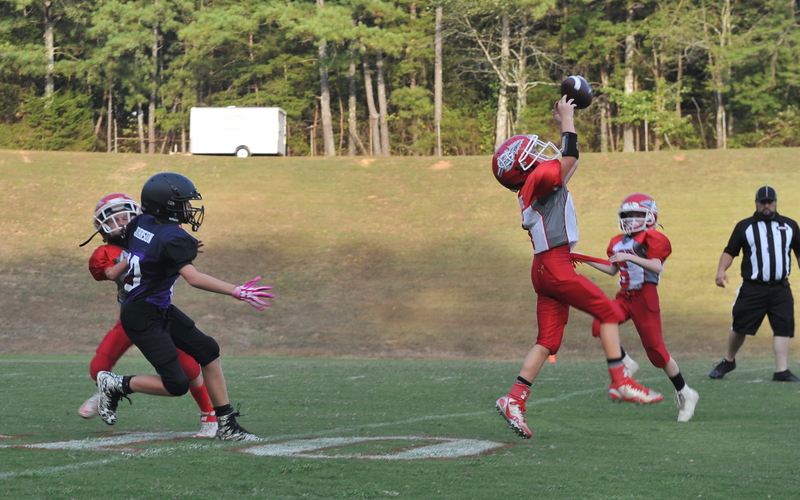 CULLMAN – Three weeks into the Cullman County youth football season, here’s how Saturday’s games unfolded. Cullman broke a 6-all tie with a touchdown to end the first half, which was enough to hold off the Aggies. A Cullman touchdown in the first quarter was the only score of the game as the Bearcats defeated the Aggies in a low-scoring game. Cullman finished off the sweep of Fairview in dominating fashion. The Outlaws’ fireplug squad shut out West Point in its first game of the day. Good Hope made it 2-0 on the day in its win over the Warriors in a close game. The Pee-Wee Warriors made a statement in the final game of the series, dominating the Outlaws from start to finish in the shutout victory. The Raiders started out the day strong when their fireplug squad dominated Hanceville. Good Hope scored the only touchdown of the game as the Raiders went on to take the game in a defensive affair. The Raiders finished off the sweep of the Bulldogs, cruising to the shutout victory. Cold Springs easily won its first game of the day over the Cyclones. Cullman defeated Cold Springs soundly in the wee-wee matchup. The Cyclones finished 2-1 on the day after their dominating win over the Eagles. The Eagles’ fireplug squad took the first game of the day over the Broncos. Vinemont dominated from start to finish on both sides of the ball in its shutout victory. The Broncos took the final game of the series over the Eagles in a low-scoring affair.